Your orders are packed within 20 minutes of receipt. We can deliver to your customers within 3 hours (Sydney/Melbourne). You receive tracking numbers real time. Take advantage of our great rates. Guaranteed cheaper than carrier published rates. Guaranteed to save you money. You get Real Time access to our Systems. Our API’s integrate with any shopping cart to pull orders from your site. And feed data back – real time. We get it right all the time. We are so confident of our accuracy that we offer the most comprehensive money back guarantee in the industry. Our modern facilities are state of the art. Your products will remain accounted for and dust free until they are delivered to your customers. As one of Australia’s most prominent order fulfilment drop shipping companies, NPF prides itself on helping reduce costs and increase profits for all types and sizes of companies. We operate an extremely sophisticated logistics and warehousing operation to provide all of your 3PL logistics requirements accurately, efficiently and quickly – but it’s our commitment to customer service that will win us your trust. 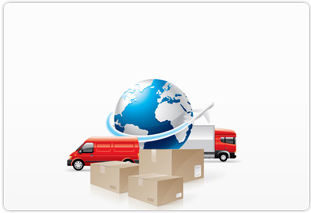 Services – Highly sophisticated 3PL logistics processes make us the best choice for a wide range of services. Our facilities are set up for pick and pack, ecommerce order fulfilment and an extensive list of other logistics and warehousing requirements for any type of business. What is Included ? – Many of our competitors charge a hidden fee not disclosed upfront. At National Product Fulfilment these services come standard, and we call them our “premium inclusions”. By helping your business grow, we grow our own – so you can count on our commitment. Guarantee – From the promise of a proper pick and pack to the guarantee of communication satisfaction, we do more to make you and your customers happy. Our highly advanced logistics and warehousing systems prevent mistakes, but if one occurs, we’ll make it right. Get a Quote – Once you’ve seen that our 3PL logistics services are specifically tailored to meet all of your order fulfilment needs, the next step is to see how much money we will save you. 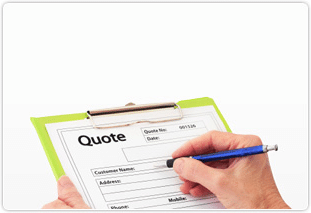 Get a free, no obligation quote online, or speak to one of our representatives. Outsourcing your pick and pack and order fulfilment needs can offer you the opportunity to more appropriately serve your customers while meeting a greater demand. Relying on our team of experts and state-of-the-art facilities, you can rest assured that the quality of care being put into every order will meet the high standards of your company.